Ten strangers are invited to a mysterious weekend at an island estate. On the evening that they arrive, a recorded message is played that accuses each one of them of murder. Each person seems astonished and there is no one on the island aside from the ten. One by one, the guests die under mysterious circumstances. Will any of them make it off the island? Who is the murderer? This is my first time reading one of her books and I completely understand why Christie is called the Queen of Mystery. The deliciously wonderful thing about this book is the inability to tell who is good and who is bad. Each character - the pious and elderly woman, the married servants, and the distinguished judge - seem equally capable of lying and killing the people around them. The characters don't know what is going onand neither does the reader. Each time they think they know who the murderer might be, the game changes and they are left baffled and hoping that they will make it through the weekend alive. This story is a mystery but it is also a morality tale. When our usual forms of justice fail us as a society, as seems to be the case for these people, whose duty is it to ensure that justice occurs and the guilty are punished? 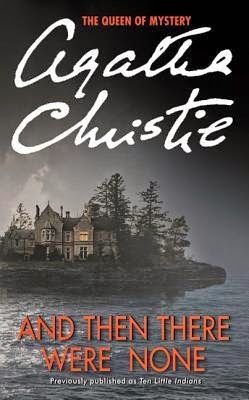 Agatha Christie brilliantly builds the tension throughout this book as the characters try to uncover who is lying, who they can trust, and which one of them is picking the others off one by one. And Then There Were None is the perfect book to curl up with on a cold winter's evening as the wind howls outside of your window. First Impressions works in dual narratives. Our first centers around Jane Austen herself as she gets to know her elderly neighbor Richard Mansfield. She soon discovers that he is a wonderful critic of her writing and the two become friends. 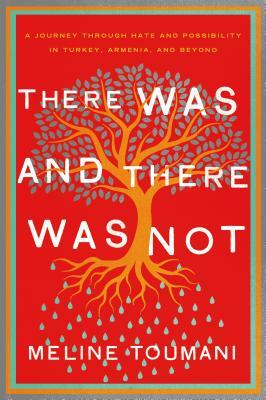 In the present, Sophie Collingwood's world is rocked when her beloved Uncle Bertram is found dead. Although it is ruled an accident, Sophie finds his death suspicious. She moves into his flat and takes a job at a local bookstore. When two patrons ask her to find an obscure book, Sophie finds connections to her beloved Jane Austen and to the death of her uncle. 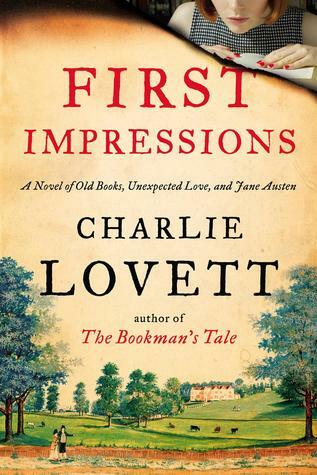 I suppose I might categorize First Impressions and Lovett's debut novel The Bookman's Tale as literary mysteries. Both books orbit around people who love and work with books, as well as containing manuscripts or books that will answer the puzzle for our protagonists. But in each story, there is a feeling of ease and certainty. While the events are moving at a breakneck pace, there is no doubt that all will eventually be well for dear Jane and for our new friend Sophie. There were several times when I wished for a bit more character development and a few more red herrings to take this book from a perfectly good afternoon read to a book I would adore. It's Monday and I am ready for some rest and relaxation! Hey there, boys and girls! How are you? I think that this will not go down as our favorite Christmas ever, due to general stress and a lot of sickness! But there is still something magical about singing in a church lit up by candles, seeing your family all in one place, and watching your little one's face when they open up that perfect present. We are now settling in for a few days where I hope we can rest and get in some reading before getting ready for the next big thing. Did I mention we are going to Disney World? 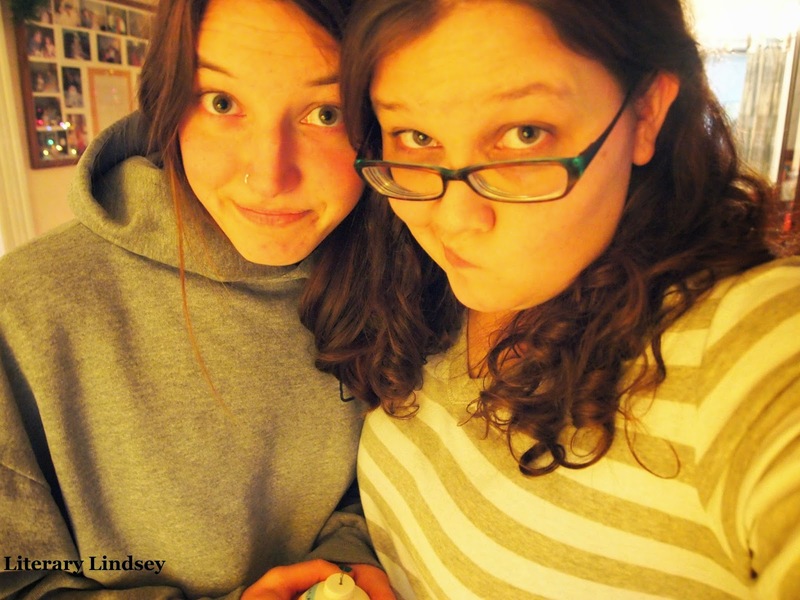 Yup, we leave in six days. These next two or three days will hopefully be a bit of buffer between one bit of wonderful craziness and the next. Here's hoping I can keep reading and catch up on my reviews! How was your reading during the week of Christmas? 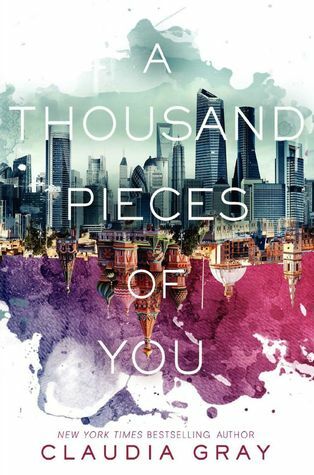 I thought I was only going to read one book but then I happened to sit down one night and marathon through A Thousand Pieces of You in just a few hours. Reading a book start to finish like that was lovely. 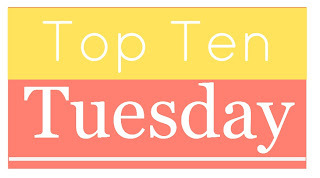 Top Ten Tuesday: Books I Hope Santa Brings! No need to read through an entire review in those crazy days before Christmas! Instead, let's compare notes about the books we hope Santa leaves under the tree for us. I have some of them, but Madeleine L'Engle is one of those few authors whose books I collect. I hope to have all of them, perhaps in multiple editions. This was one of my favorite novels of the year (along with everyone else in the world). I would not be disappointed to have a copy of my very own. 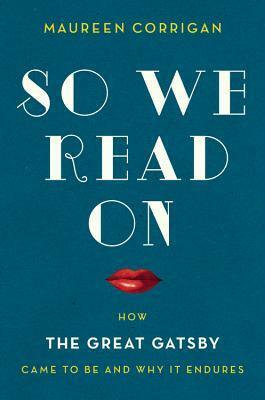 I fell in love with Ann Patchett's writing when I read Bel Canto. I have a few of her books, but I need to finish my collection! This is one of those books that you immerse yourself in and don't come back out for a long time. 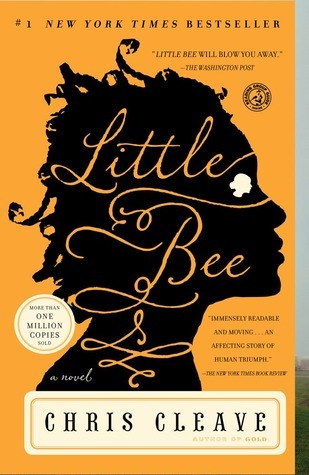 I loved this historical novel and can't wait for the sequel! Anyone who says YA books are fluffy and only for kids hasn't read Patrick Ness. This series is about love, hatred, war, being a good person - all of the big important issues in life. It's also brilliantly written and will keep you frantically flipping pages. I don't read short stories all that often, but this collection is one I can see myself reading again and again. Ausubel is truly a writer to watch. Cleave's Little Bee tore my heart apart in the very best of ways. I need to read his other books asap! This was one of my favorite books of the year. 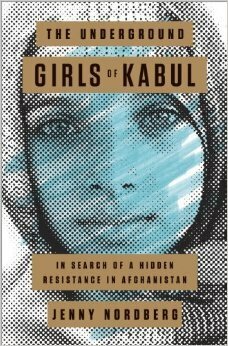 This collection of essays will make you think about how you relate to other people in a myriad of circumstances. Let's be honest here. We love to read books but we also love to look at them. 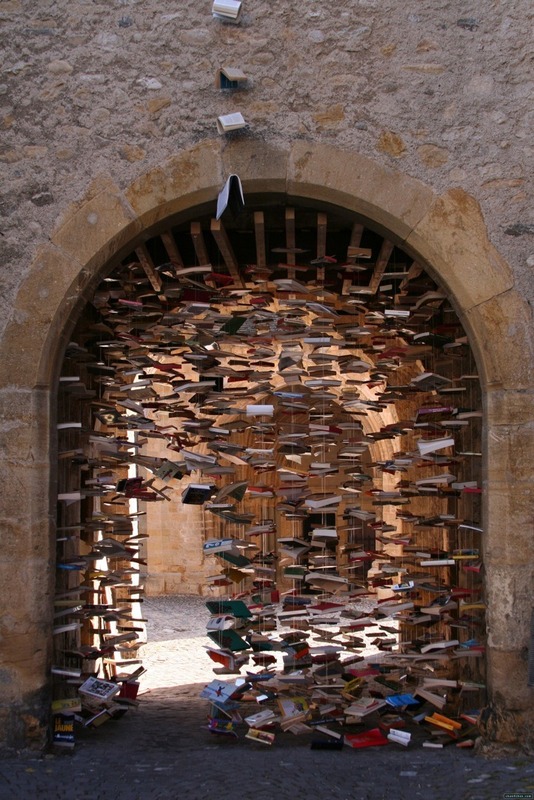 I would love to have some beautiful books to make my home a bit prettier. Perhaps these hardcover classics or the gorgeous Drop Caps series? I read my first graphic novel this year. I don't really know which one to read next, so finding one or two under the Christmas tree would make the decision for me! 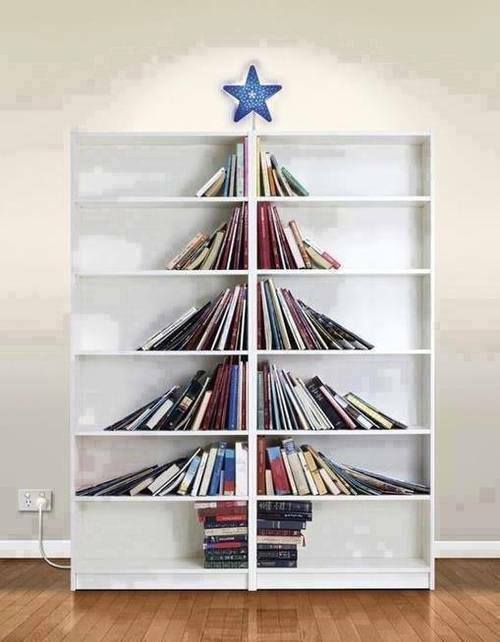 What books are you hoping to find on Christmas morning? It's Monday and Christmas is almost here! Hi again! How is everyone doing? Are you buried somewhere under the wrapping paper or covered in flour from baking a few dozen cookies? 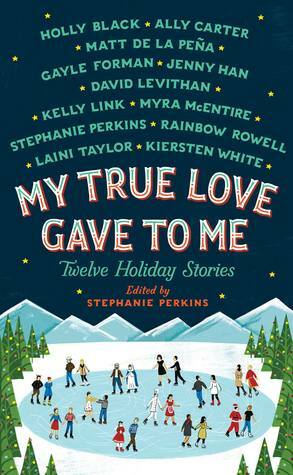 I thought I was only going to get one book read this week, but I really got sucked into the Christmas stories in My True Love Gave To Me and finished that up Sunday afternoon. Now I'm going to try to finish up my stack of library books before we leave for vacation on January 2! Margaret Atwood is known and admired for her exceptional talent as an author. Her stories explore friendship, aging, and what humanity looks like at the end of the world. 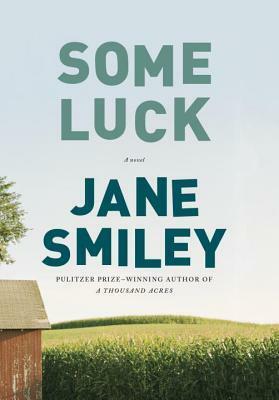 In Stone Mattress, readers are treated to her writing at its height as she tells a compelling story in just a few pages with wit, understanding, and just a touch of malice. 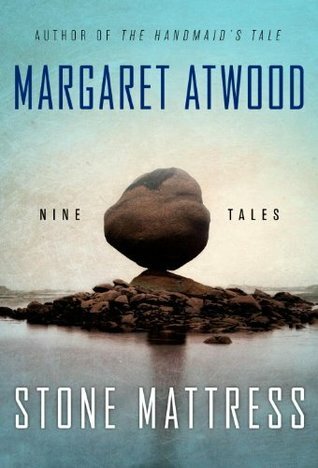 Atwood does a careful dance here between connecting stories and those that stand alone. She has three stories that are linked, as characters from the others star in a tale of their own. She also has one story that brings back characters from The Robber Bride, one of her early novels. It was wonderful to unexpectedly run into old friends. Many of these stories seem to draw moments from Atwood's own well of knowledge and feeling, as many of the characters are writers themselves. They grapple with both success and failure, high literature and pulp fiction. One of the themes that runs through the stories is looking back at your life. It is refreshing to read about characters who have some years and experience under their belts. In almost every story, the specters of age and death loom large. In the first tale, entitled "Alphinland," our elderly protagonist is facing her first winter storm without her husband. She is somewhat forgetful about the things she should be doing to prepare. While her husband's voice gives her gentle reminders from the afterlife, it is heartbreaking to see this woman stumble literally and metaphorically. "Torching the Dusties," the last story, is perhaps the most plausible and the most terrifying. Wilma and Tobias are residents of a senior citizen home that is under siege from an organization seeking to eradicate the elderly. Their usual problems of aging are put in juxtaposition with people trying to escape a hostile situation. Theses stories are just a bit fanciful - everything seems normal except for the voice of your deceased husband, or a daughter who is an outcast because she rather resembles...well, a vampire. It's fascinating to watch characters who wouldn't describe themselves as bad decide to do some very bad things. The idea of a villain is deconstructed to become someone who needs revenge or finds an opportunity too good to pass on (regardless of the consequences). Stone Mattress is a collection for all readers - those who love short stories and those who avoid them, those who love horror stories and those who love literary fiction, the readers who adore Margaret Atwood and those who are lucky enough to be discovering her amazing writing for the first time. It's Monday - let the insanity begin! Hello, ladies and gentlemen. How is it going? This week was a bit rough. I caught a nasty cold, although I am happy to report that I am now on the upswing thanks to my good friends Mucinex and Dayquil. Now it is time for things to officially get crazy. 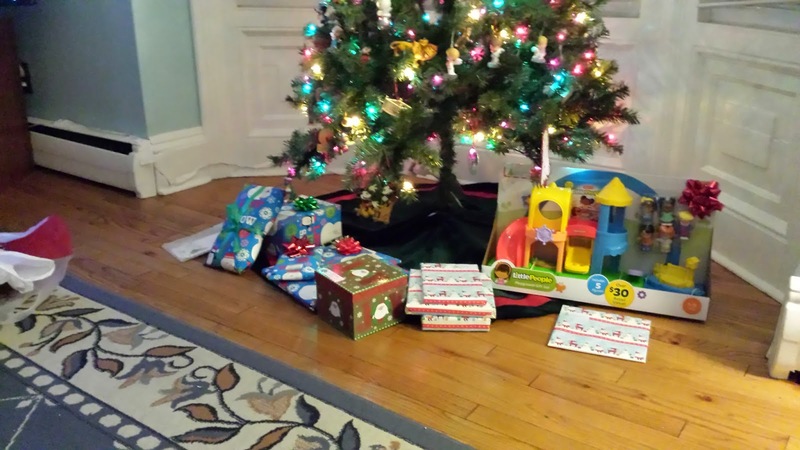 I have a few more presents to buy and then it is time for lots of wrapping. We are also hosting a Christmas Open House for our church family this weekend and then we will be hosting Christmas dinner at our place. Let the insanity begin! Jason Fitger is an English professor at Payne University, specializing in creative writing. His department is under siege as the administration cuts funds and faculty and debris rains down on their head from the renovations to the economics offices. Fitger was once a member of the esteemed "Seminar," which seems to be an allusion to one of the prestigious MFA programs around our country. He can't seem to shake the relationships that shaped his life at that time as he still pines for the approval of their adviser and reaches out to the other students for advice, assistance, and sympathy.While Fitger's own writing career is somewhat derailed, he still can recognize a promising writer when he sees one...and when he doesn't. The story of this professor is told through a series of letters to his fellow faculty members, to old friends and lovers, and to the committees of the graduate programs, writing fellowships, and internships that his students hope to gain. 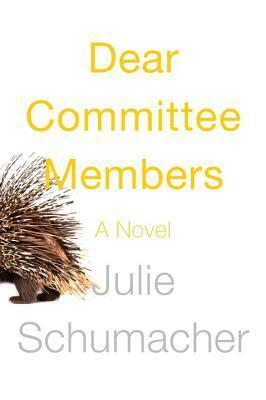 Dear Committee Members is a book that will make you laugh in recognition while also sparking a deeper look at our current higher education practices. The epistolary novel is not for every reader and certainly not for every writer. The difficulty lies in bringing a character to life solely through their correspondence. For Professor Fitger, who has recently been burned from a very unfortunate reply-all situation, hand-written letters are an important means of expression. He is sarcastic and snide as he criticizes the lack of support from the university for the professors and students, but willing to take responsibility for his own failings. Most of all, his blunt honesty in the recommendations that he writes for his students shows his commitment to their education and to their futures. Fitger sees no problem in stating that a student did poorly in his class or that another deserves better than the job she is trying to nab. But he also writes to the mental health services on campus on the behalf of a student and tirelessly tries to find funding for a writer he believes can make it big. Julie Schumacher has created a true curmudgeon of a character. But he is grumpy because he cares - because he has witnessed too many writers who didn't get the book deal, too many professors fight to teach the classes that matter, and too many students in his department take terrible jobs in unrelated fields. This is the perfect book for anyone who has had a teacher who opened their eyes or the professors who are doing the world-changing every day in our colleges and universities. Putting this post together was fun and it opened my eyes to what kind of reading I have been doing this year. I thought I read a lot of new authors but when I looked at it, I read many books by authors I had read before. I had Little Bee sitting on my shelf for a while and finally decided to give it a try. Reading this story devastated me in the best of ways and I love knowing that he has two other books for me to read! The Lost was a bit out of my comfort zone, but I'm so glad I gave it a try. 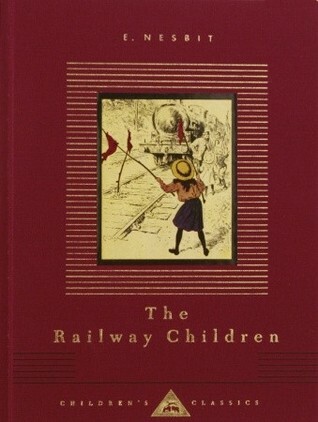 Durst brings a new world to life while referencing beloved tales like Peter Pan and The Wizard of Oz. She has several other books but I am really waiting impatiently for the sequel! The Empathy Exams was a sleeper hit when this book of essays struck a chord with readers. It's one of those books I want to enthusiastically push into people's hands with the warning that it will make you reflect on the way you interact with others and it just might make you a kinder, better person. Found: A Story of Questions, Grace, and Everyday Prayer is a beautiful look at the ways we can connect with God throughout the mundane and repetitive parts of our lives. Boyett doesn't have any other books yet, but this girl is hopeful! 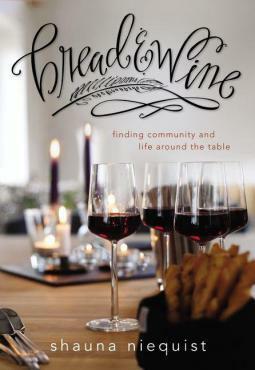 In Bread and Wine, Shauna Niequist easily combines a cookbook, a memoir, and advice about living an open and inviting life. Shauna seems both wise and totally relatable. All the Light We Cannot See is a National Book Award finalist for very good reason. 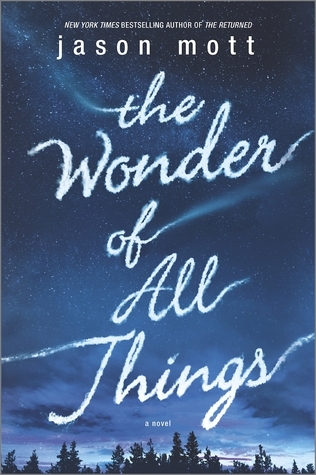 Doerr portrays two children growing up during WWII and the intersections between art and science and kindness and evil are breathtaking. I Shall Be Near To You was one of my favorite novels of 2014. 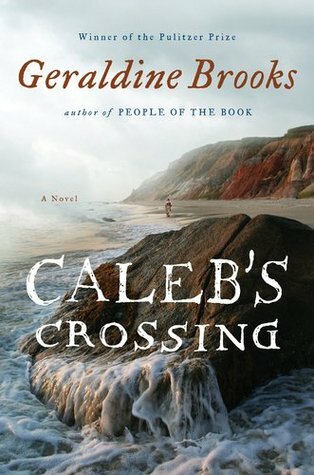 McCabe brings a young couple to life as the wife follows her husband to the battlefields of the Civil War. Books tbr: Next novel is in the works! The Wife, The Maid, and the Mistress is a fictional look at a real-life mystery. Lawhon's passion for history and these people is evident on every page. The coolest part of the story is that a descendant of one of the characters in this book actually contacted Lawhon recently! Books tbr: Hindenburg is coming soon! The Twelve Dancing Princesses set during the Roaring 20s = The Girls at the Kingfisher Club. It's magical and wonderful. There are not too many books out there about the 7th century. 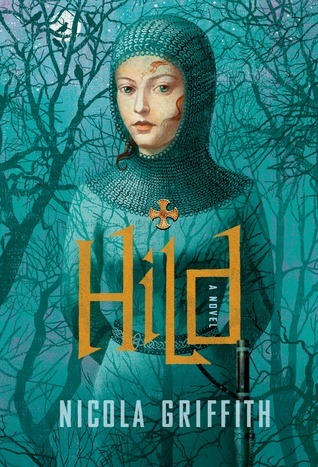 Hild will introduce you to an unforgettable heroine and immerse you in a fascinating time period. What new authors did you discover in 2014? It's Monday and we have had a lot of celebrating! Hello again! This has been quite the week. 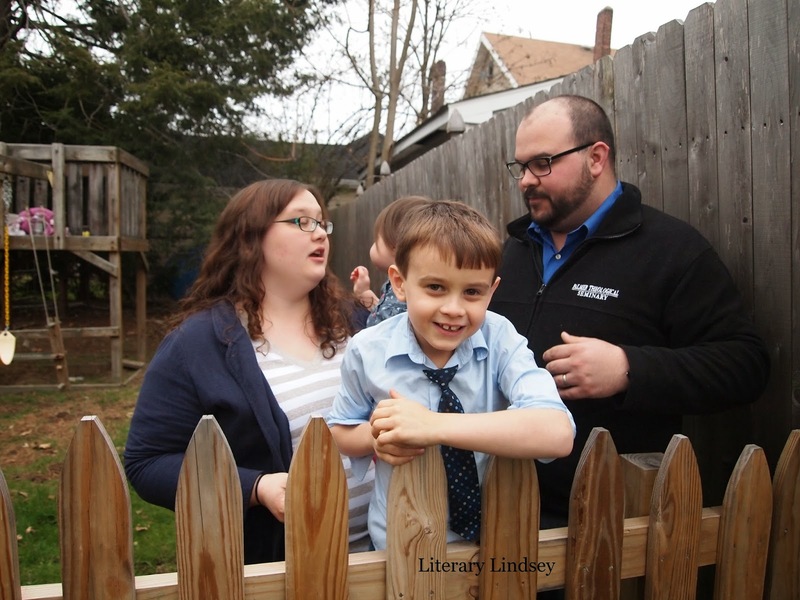 David turned seven so we celebrated with his friends on the actual day and then celebrated with family on Saturday. 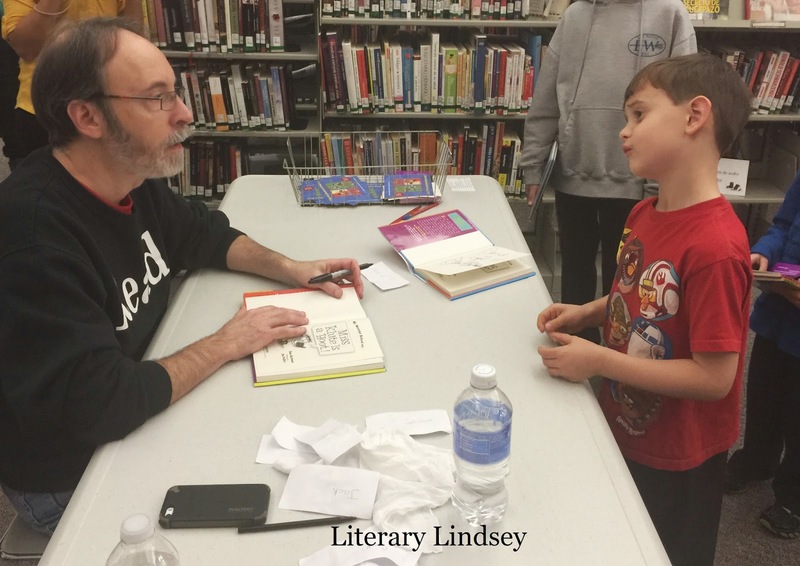 He also got to go see New Jersey author Dan Gutman (author of the My Weird School series) at our local library and have his books signed. We have to start them young, right?!? 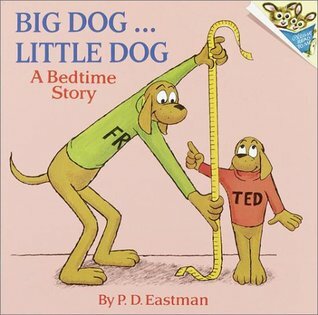 With everything going on this week, I only read one book. On the plus side, my desire to review books seems to be coming back. I think I might actually catch up this week! Today is the seventh birthday of a certain member of our household. We are having a few friends over to celebrate after school and then we will celebrate with the family this weekend. I am having such a fun time watching you grow up. Look! They let us take home this baby! I love discovering your passions along with you and watching you learn new things. You make your daddy and me laugh almost every day with your wise beyond your years exclamations. I hope you love being seven. I hope you that you grow taller and stronger (although you could hold off on the being as tall as your mom thing for a few more years). I hope you learn new things about this great big world of ours and about yourself. I love you so much and I am so proud of you. One summer in Athens, three young people meet and become inseparable. Rebecca is an artist who has left her past behind in an effort to discover who she is and what she wants from life. George hopes to find a connection in ancient languages that he hasn't been able to find from other people. Henry is an archaeologist whose bravado and confidence hide a dark secret. 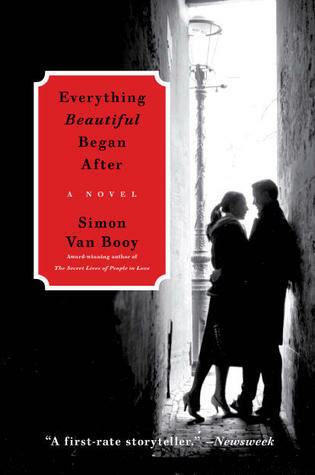 Simon Van Booy is a master of writing lovely stories. His prose is simple but breathtaking and his tales themselves are timeless. Rebecca and George and Henry could be people from any time, exploring new places, learning new things, and finding the people who will shape their lives. The timelessness of the story is in direct juxtaposition to the meticulous sense of place. While the characters in this book will travel to many places, most of the story takes place in Rome. The sweeping vistas, noisy tourists, and historic sites seem to come to life right before your eyes. I love reading the work of Simon Van Booy. 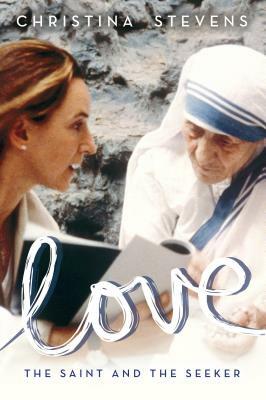 There is a sincerity that permeates every sentence of his stories; an acknowledgement that each of us will face both divine joy and unspeakable grief during our lives. Everything Beautiful Began After invites the reader to let themselves be shaped by this difficult and wonderful life. Gary Sheng was a man with dual allegiances, dual families, and dual lives. He lived in the United States and worked as a translator at the CIA, which gave him the ability to leak information to the Chinese government. 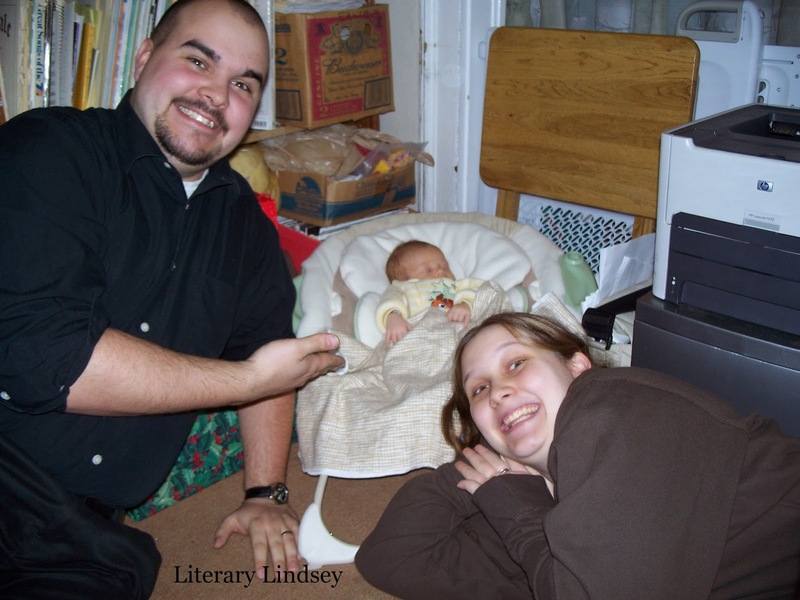 He married an American woman and has a daughter named Lillian. But all the while, he could not forget his first family back in China. 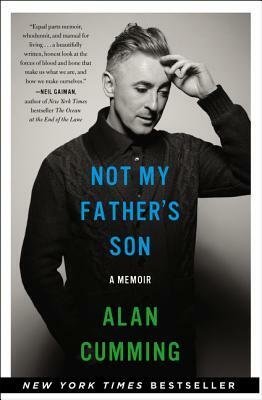 A grown-up Lillian learns about his duplicity by reading his journals after he has died. She decides to reach out to her father's first family and try to piece together the truth. 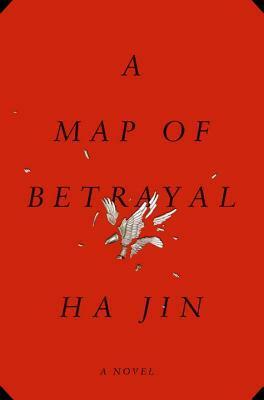 A Map of Betrayal moves back and forth between Lillian's quest in the present and her father's life in the past.The entire novel has a sense of reserve throughout, even as Lillian learns her father's darkest secrets and finds that they have implications for her family. At times, it felt as if Lillian's interest in Gary was academic and part of her research as a professor instead of personal. I learned a lot about China and Gary's pain about living two lives is fully realized, but I never really empathized with the characters. So now that we are officially in holiday mode, what have you been doing? Are the decorations up? We have most of our decorations up but we still need to get a Christmas tree! The Christmas songs are on pretty much 24/7 around here. My current favorites are Here with Us and Winter Song. Ouch. I knew the reviewing hadn't been going so well, but I didn't realize it was this bad until I started working on this post. I just don't seem to have a lot of time or motivation to write reviews lately. I hope to catch up with some mini-reviews and have a better month in December! 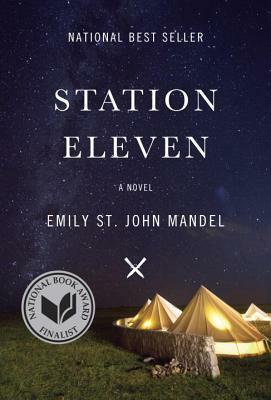 What was the best book you read in November? Hey everybody! Did you have a great Thanksgiving weekend? I am so happy I got to see all of my sisters this weekend before they head back to their fabulous lives. We had Thanksgiving dinner together and then spent Saturday afternoon together decorating the Christmas tree at our parent's house. We really like each other. Promise. The reading has been good this week. I ended up deviating from my plan a bit because a book from Netgalley was about to be archived. I love Jason Mott's books so far, so I was happy to power through The Wonder of All Things in just a few days. But while the reading is good, the blogging part seems to be falling to the wayside. I have seven reviews to catch up on. Please send help. 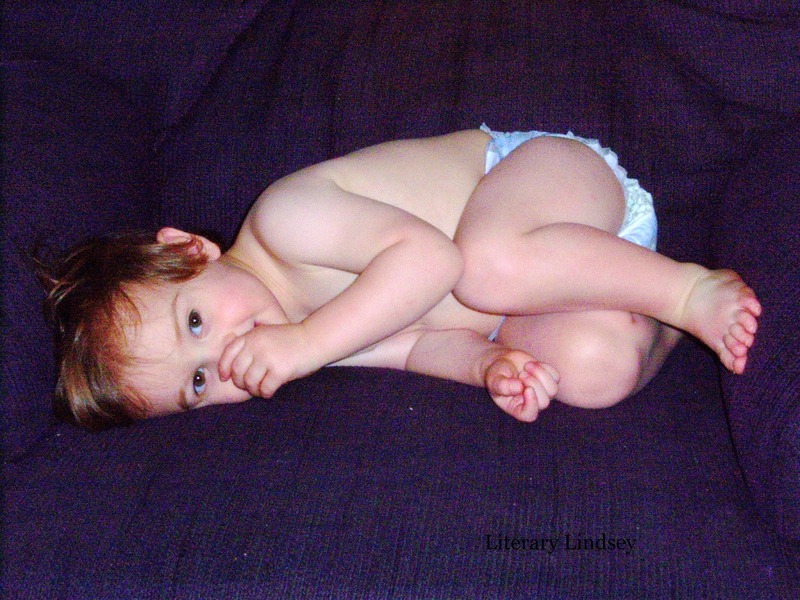 What do you all do when you hit a book reviewing slump? Peter Leigh is equal parts excited and apprehensive about his new job. He travels to a distant planet to bring Christianity to an alien race. Everything is new and unnerving and he doesn't have the support of his beloved wife Bea who remains behind on Earth. Peter tentatively begins work with the natives and slowly begins to build a relationship with his congregation as they work together and he teaches from "the book of strange new things," as they call the Bible. But all is not well - Bea's letters from home become more desperate as she recounts the terrible events happening on Earth and her fear and depression as she begins to doubt the faith that has always united the couple. The Book of Strange New Things is a long book but the length of it is necessary for Michel Faber to explore the experience of a new life and the slow transition to normalcy. Peter obviously takes some time to reorient to a new world. His first few days after the ship lands are spent being sick, experiencing new food, and meeting his human companions. He soon discovers that his fellow humans are focused on their jobs and few of them care about the people back on Earth or the things that are happening there. Peter can't imagine ever feeling so little connection to or compassion for the people they have left behind. Once Peter has acclimated, he is eager to start his work and is driven out to meet his congregation. They greet him warmly and seem eager for his teaching. But Peter quickly hits some roadblocks when he tries to translate the Bible into the Oasan's own language. How does he describe the imagery of Jesus as the Good Shepherd to creatures who have never seen a sheep? This book is classified as sci-fi, although it is more concerned with humanity than the aliens. What does it mean to be human? How can the human residents of Oasis hold on to their humanity when they are all alone and cut off from their loved ones and the culture of their home? How does Peter navigate between the welcoming Oasan community and his fellow humans who don't seem to need him at all? Our protagonist often seems incompetent, as if he doesn't really know how to relate to people or anticipate their reactions. This demonstrates so clearly that Bea and Peter are used to working as a team, where each one covers the other's weaknesses. But nothing is as simple as it seems or as easy as Peter and Bea once took for granted. Their relationship, their faith, their understanding of themselves all start to fall apart when they are separated and one succeeds while the other watches her world fall apart around her. 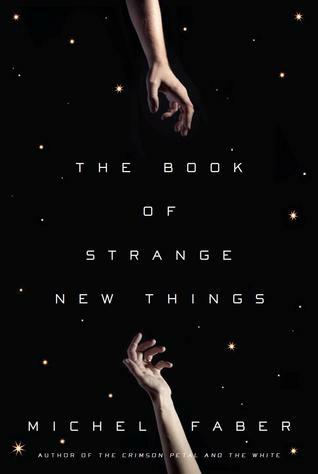 The Book of Strange New Things is both a quiet, beautifully written story and an invitation for the reader to reconsider their closely held ideas about relationships, faith, and humanity. Faber doesn't force answers, but he does raise a lot of questions that will leave you thinking about Peter, Bea, and the Oasans long after you finish this book. Hello friends! How is the reading this week? 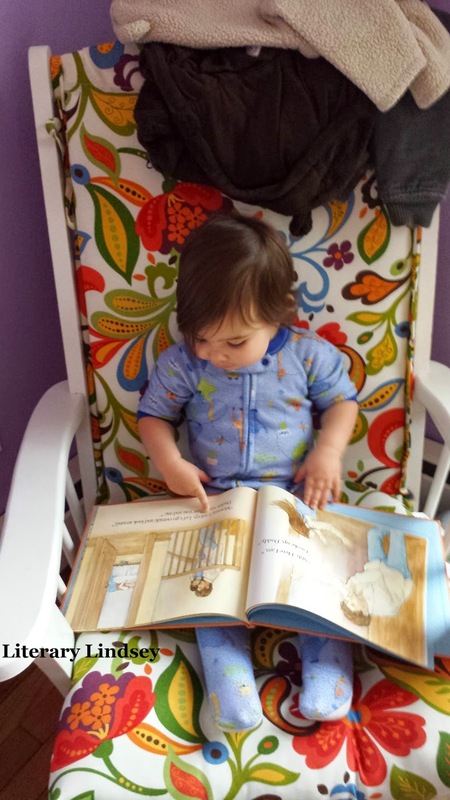 Around here, the reading is carrying on at the usual pace of two books a week. This is good news for my Goodreads goal, since I'm only five books away. I think I can manage five books in the next month, right? The rest of life is the usual brand of crazy. We are getting ready for Thanksgiving and the birthday of a certain someone who will be turning seven in less than two weeks. If you figure out who let that happen, please let me know pronto. I'm pretty sure he should still be two or three years old.